The ADAMH Board of Franklin County values input and advice from consumers and family members. To meet that need, the Consumer and Family Advisory Council was formed in 1997. The Council is a voluntary group of individuals who are either recovering from mental illness or drug and alcohol addiction themselves, or have family members who are. The Council provides a network of individuals for advocacy, support to families, and advice to the ADAMH staff and Board of Trustees. The Council serves as an important sounding board for the Board and for its service providers, as well as an educator in the community on mental health and substance abuse issues. 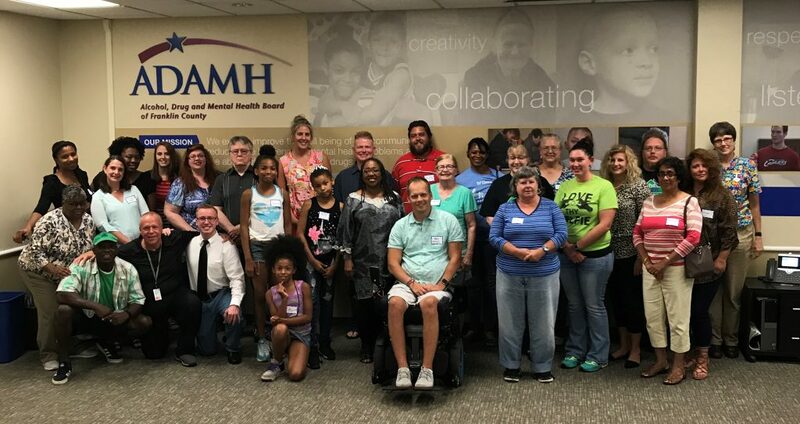 Meetings are held the first Monday of each month from 4:30-6 p.m. at that ADAMH Board of Franklin County located at 447 East Broad Street Columbus, Ohio 43215. First Monday of the month, excluding July and September. Contact Phil Hedden at 614.222.3743 for more information.